A different take on ‘ascent’! very subtle in that at first glance it appears that both the foreground and the background are out of focus. It was taken with a slow shutter speed so the smoke’s path shows up. I thought of you and the similar photos you have posted of burning incense as we went from one temple or altar to the other throughout SouthEast Asia. People praying with the incense. Very soothing. My bro, I adopted a slow shutter speed so that the movement of smoke could be captured. Mind you, some said that smoke from burning incense can be carcinogenic. 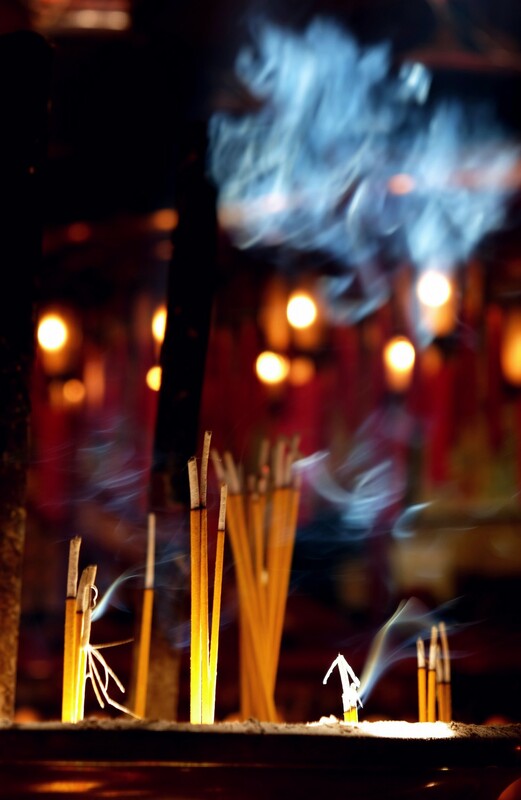 Burning of incense stick or spirals are a common practice in temples in SE Asia, they are soothing. Hope to see your photos later. I hope one day, smart phones will have this capability, plus a big range of ISO too! Incredible that ISOs can go up to tens of thousands – you don’t even need to have a flash – but this is at the expense of having a coarser look which can be fixed with a higher resolution.